So much yarn, so little time. : Blog giveaway winner...ME! I do so love a giveaway - and I've been lucky enough to win a couple recently. 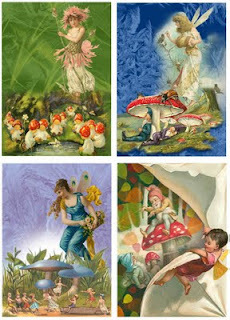 Maggie of intothemagpiesnest.blogspot sent me a beautiful faerie collage sheet, and I knew there was someone in my family who would love it even more than I do. If collage is where your heart is, check out Maggie's shop MagpieMine.etsy.com for more. Congrats! The collage sheet is really pretty.